Thank you for visiting my athlete page at AthleteBiz. Your support makes a meaningful difference and is so very much appreciated! Training as a professional athlete is more than a full-time job. Your support will make a huge difference as I pursue my dream to represent the USA, and as I seek to make a difference in my community. Thank you! 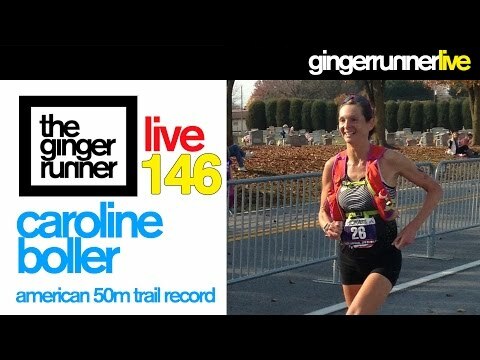 GINGER RUNNER LIVE #146 | Caroline Boller, American 50 Mile Trail Record! Born and raised in England, before attending St. Charles High School in St. Charles, Illinois, Caroline holds dual US and British citizenship. She earned a degree in Sociology and Anthropology from University of Illinois, Urbana-Champaign and has since earned a Masters from University of Cambridge (England) and a JD from Berkeley Law. Caroline's journey is different than many of the USA's top athletes, as she did not compete in high school nor college, and did not even begin running consistently until 2012, at the age of 38. Though she is a relative new-comer, Caroline has reached the heights of success in the sport of mountain, ultra, trail running. She has already earned the 50 Mile Trail National Best time (which is the all-time fastest women's 50 mile trail time ever recorded by a North American Resident), the 2015 Mountain Ultra Cup Championship, and the 2016 50k Road National Championship, along with the Master's American Record in the event. As Caroline notes on her website, "In my late thirties, following issues with elevated blood pressure, my husband watched me banging cluelessly away in the only way I knew how — the treadmill — while he hit the local trails. Finally, with his encouragement, curiosity got the better of me and I ventured onto dirt for the first time. It was nothing short of an awakening and I’ve never looked back." When not pounding away on the trails and taking home national titles, Caroline is a mother to two boys and general counsel for a wine company.